The board meetings are carried out to discuss and congratulate on company policies. The meetings are held for Annual board photography, Annual Values, Special Presentations, and oral hearings. These meetings happen throughout the year involving vents like starting collaboration, new project, meeting clients, discussing market, sharing views, finalizing policies for company or closing a deal. You can also see School Agenda Templates. It involves discussions related to parliamentary proposals and advises the board authorities to act accordingly. All the parliamentary and government related issues or proposals are discussed in this committee. When board meetings are carried out for Legislative committee it includes parameters like objective of the meeting, welcome note, proposed budgets etc. This committee considers the issues related to clients and the taxpayers. It discusses issue with the administrative people and how to resolve the concerns of customers. Such kind of board meeting formats include discussing problems of customers. A special format has to be defined for carrying out board meeting for discussing customer issues. 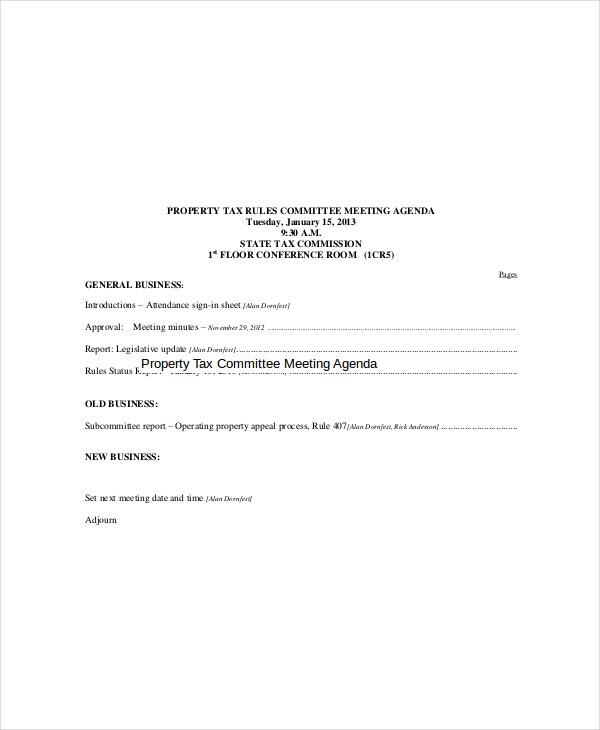 This committee discusses issues of interest of the sales and tax. It deals with new or revised taxing policies of the government. Such board meetings have defined formats as it includes new and previous tax rates and detailing on the upcoming tax policies by the secretary. This team works on discussion and solutions about the property tax affairs. The committee discusses guidelines of property tax and works on tax rules/issues. 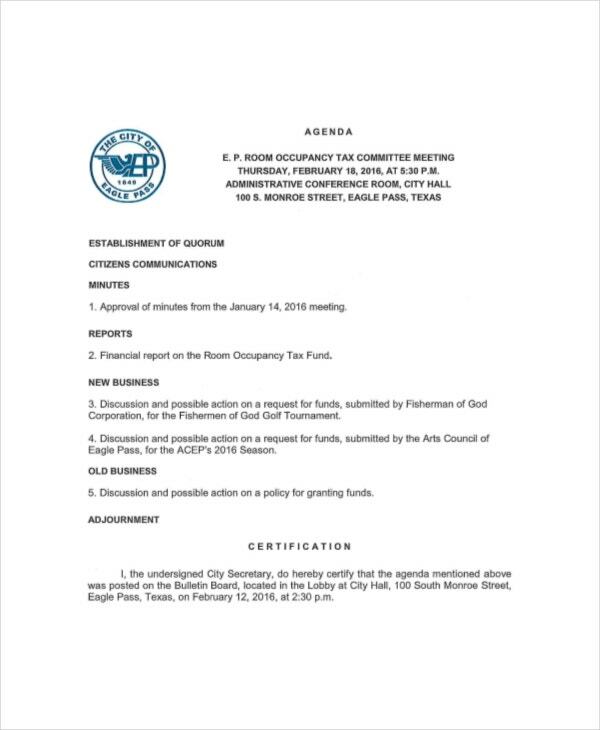 These board meetings involve a discussion where the approval of all board members is required so a session for opinion poll must be there during the meeting. 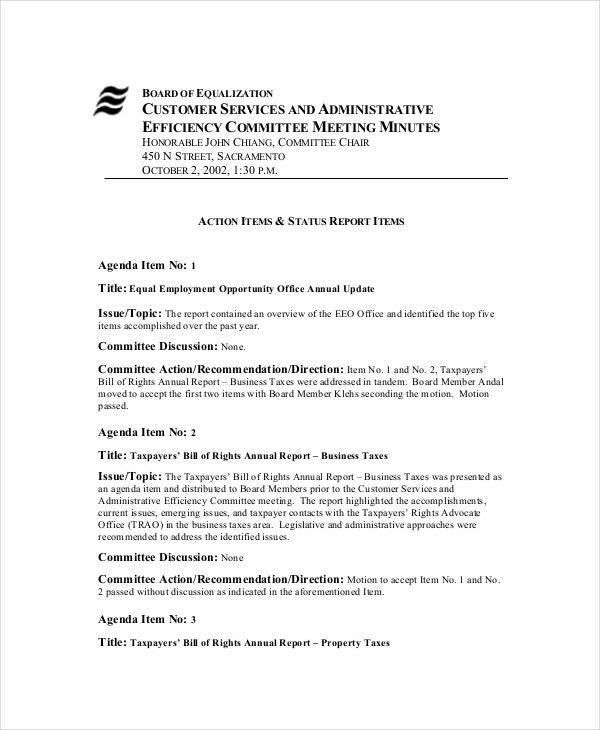 > How to create Board Meeting Agenda Template? Firstly we have to list down the agenda of the meeting. Then prioritize the various agendas listed out. 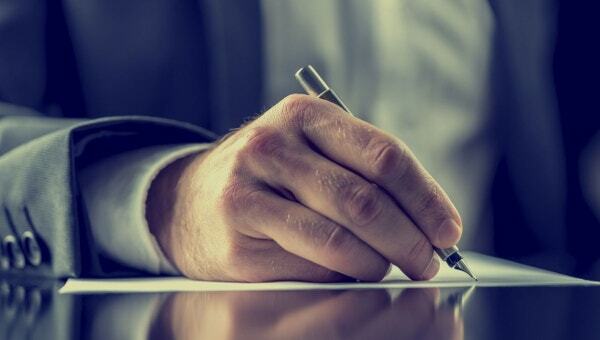 If any organization is to carry out any board meeting the review process from the previous meeting regarding the same or nearly similar issue must be ready. Make sure you divide the meeting into few sections giving proper time for the introductory session, board of director’s introduction, discussion event, panel presentation, client dealing and vote of thanks. Then selection of the focused topic is important and you have to highlight the reason for the meeting. Prior information of the meeting; few days before as authorities from zonal offices might require advance planning like scheduling a fight to travel for the meeting. 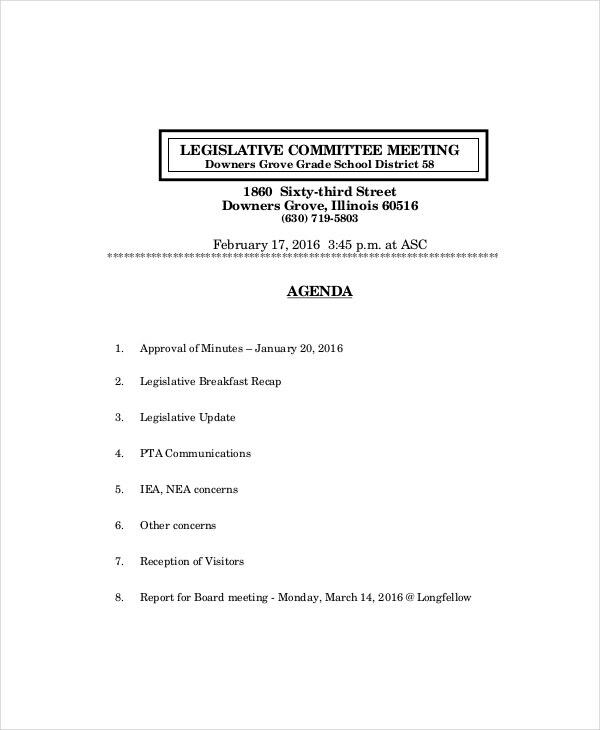 > What is Board Meeting Agenda Template? 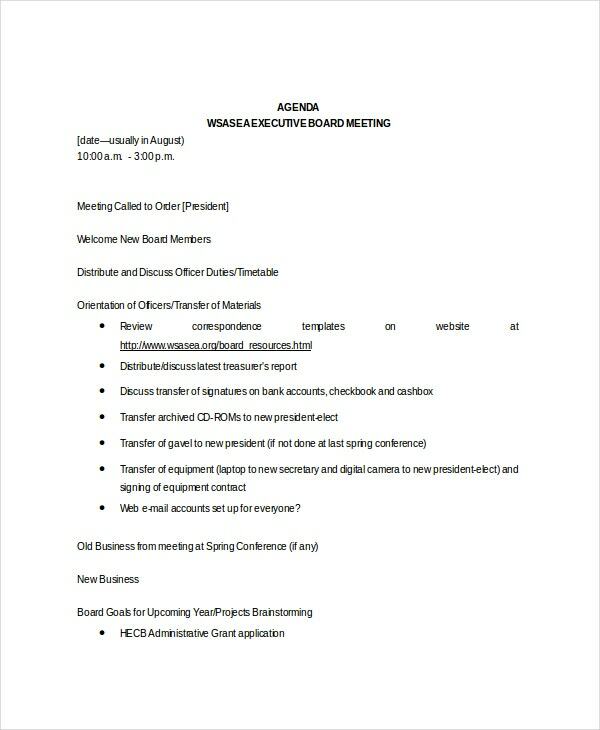 The board meeting template is designed by us to meet the demands of specific meeting. We prioritize the events to be taken up during a board meeting. There are many Agenda Templates designed according to the nature of the board meeting. We cover all topics from introductory sessions to the vote of thanks and have personalized these templates as per your demand. The templates also include assignments to be handled over to board members or opinion poll questionnaire preparation for the meeting. 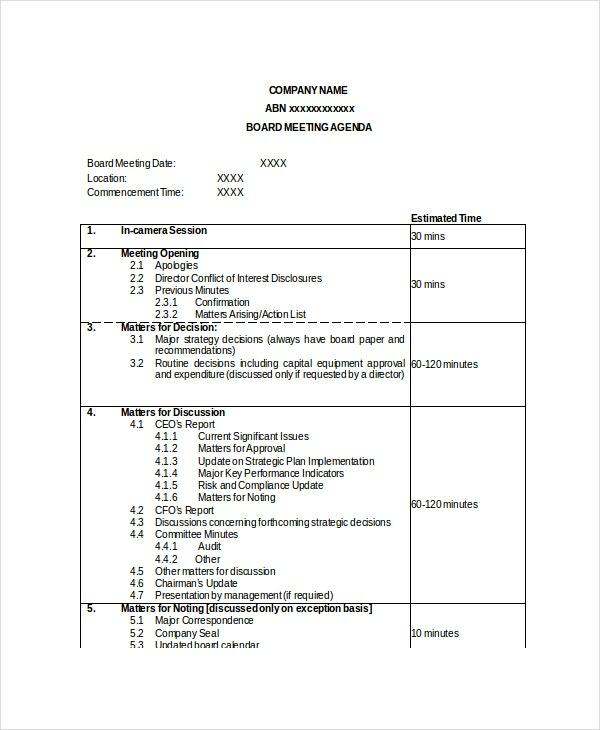 These templates provide all the information to carry out Board meeting stepwise so that you do not miss out anything. 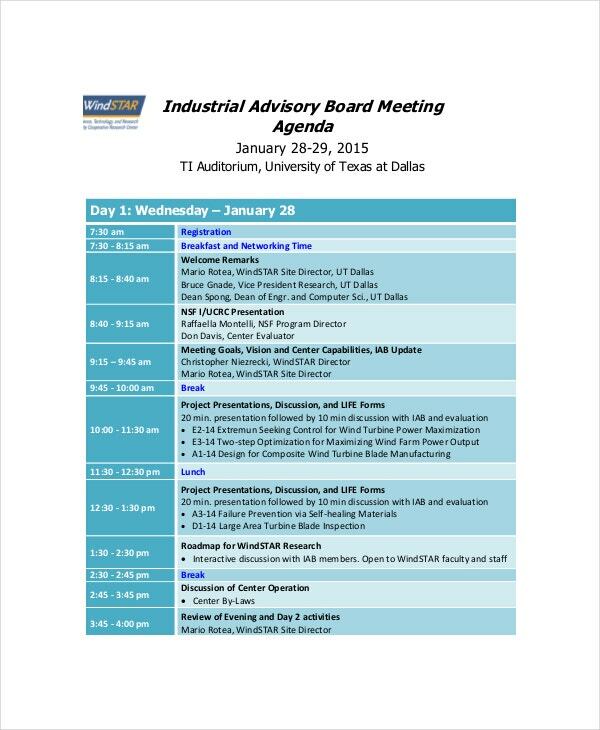 > Benefits of Board Meeting Agenda? Such board meeting agenda helps to settle down results from previous meetings and identify the shortcomings from previous sessions and make the upcoming board meeting a success. 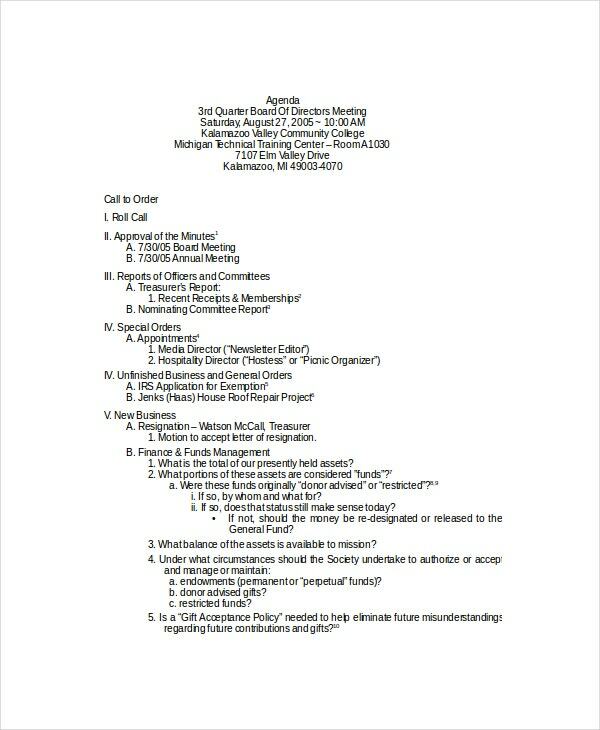 It also helps the committee to prepare reports in future by providing a guideline from the board meeting. 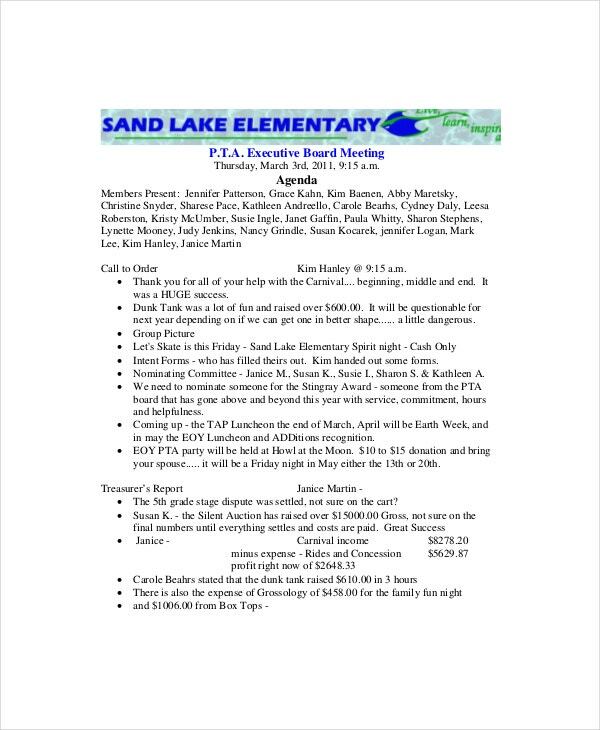 It is very important to have a document which mentions all the necessary facts and details about the board meeting happening. Such templates will give you a prior introduction of the agenda of meeting and the global scenario of the issue. This reduces time of preparation as well as your company gives their best shot with everything scheduled timely. You can also see Agenda Planner Templates. We will assist you in board meeting processes by designing the template for your board meeting. A software will help you adjust all events and you will not miss out any important detail during the meeting.